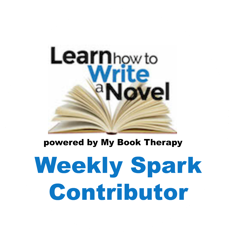 I’m privileged to blog for Novel.Academy about writing. Although I’ve been published in various Chicken Soup for the Soul books, I’m still struggling with my novel writing. I’m also interested in screenplays. Both of those seem like a pipe dream at times. But as daunting as it can be, I think it’s good to dream big. But with many dreams, there are days of discouragement and rejection. So, while my post for Novel.Academy this week is geared toward writers, I think the words are true for all of life. The post is called “Secret to Victory: Let Rejection Your Fuel.” Hope you will click the link and take a moment to read. Please share what you do to fight discouragement, doubt or rejection. I’d love to hear from you.